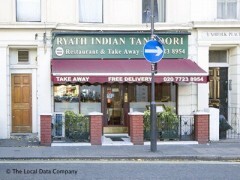 About: Ryath Halal Restaurant serve a variety of Indian halal dishes and can cater for private parties of up to 30 guests upon request. Absolutely superb! The atmosphere is Ryath was great (no garish red colours for a start!) and the staff were extremely helpful and friendly (free coffee top-ups were a nice perk). The food itself was fantastic. We had the set meal and a bottle of wine and it cost us around 40pounds (inc. generous tip!). This concerned us at first as good food doesn't often come at such a reasonable price, but I was soon proven wrong. Highly recommended!